At GrowMax Water we are experts in Water Filtration Systems for Hydroponics and Gardening. 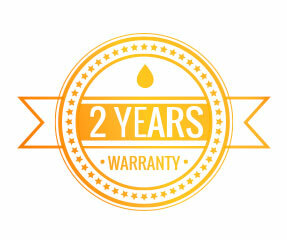 To help improve your water quality or your installations, we offer you a range of “Kits”. GrowMax Water filtration systems eliminate up to 99% of chlorine from water, while the RO systems, in addition to eliminating chlorine, also help you to lower the EC (up to 95%) and stabilize the pH. In addition you can also complement your RO systems to get ultra pure, 000ppm water by adding our De-Ionization Filter Kit. We also offer a Float Valve Kit, to avoid water overflow of your holding tank water, a UV Lamp to kill viruses and bacteria from well water, and RO Pump Kits to get more inlet water pressure, to boost production and quality. All accessories have been designed to complement the GrowMax Water units to get you the best quality water and satisfy your growing needs. The inlet water pressure is the most important factor for good operation of a reverse osmosis system. So, once you have your RO system installed, you need to check the pressure gauge to see the inlet water pressure. According to all reverse osmosis membrane manufacturers the mínimum inlet pressure needed for a working production is 3kg/cm2 or 45psi. All membrane manufacturers base their production calculations on 60 psi (4,3 kg/cm2) and advise that the mínimum pressure neccesary for a good operation is 45 psi (3kg/cm2) for an RO unit. That’s why with a good strong inlet pressure, RO units will produce a good quantity and good quality water, while also sending less water to drain. With a low inlet water pressure, the RO unit will not produce a good quantity and quality of water, also the drain will increase. To avoid these problems, if after installing your RO unit the pressure gauge is under the minimum requirement (40 psi – 3 kg/cm2), you should install the RO Pump Kit for Power Grow 500 and Maxquarium 000 PPM, or the High Flow RO Pump Kit for the Mega Grow 1000 unit. These kits will increase the inlet water pressure for the membrane work in good conditions, and both include all necessary for their easy installation. Using a RO system, you lower the EC from the water up to 95%, which means eliminating almost all the salts and heavy metals dissolved in the water. But if you would like an ultra pure water, of 000 ppm and 0,00 EC, then you must use a De-Ionization filter, installed after the RO. 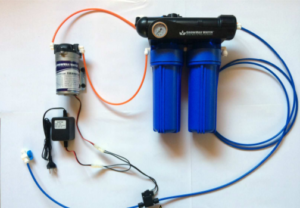 Our Maxquarium 000 PPM reverse osmosis unit, already includes a de-ionization filter, however we also offer the possibility of installing a de-ionization filter kit after any reverse osmosis system, to achieve ultra pure water. The De-ionization Filter Kit is available in 10” and 20”, according to the flow of water you need. 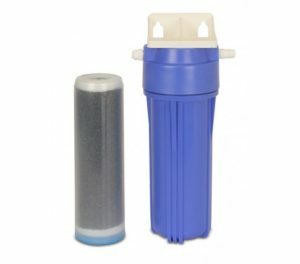 The De-ionization filter contain both anion and cation resins that will eliminate 100% of the remaining salts, having already passed through the reverse osmosis membrane. This filter is replaceable and it’s recommended to change it when your EC meter shows higher levels than 0,00. Maybe on more than one occasion you have forgotten about the water as you were filling your tanks…. and the water overflows. This is a typical situation that has happened to more than one of us. But you can avoid this using the GrowMax Water Float Valve Kit. This will stop the production of the Filter or RO unit, when the water reaches the Float Valve height in the tank. Thus, water overflow as well as water waste is also prevented. GrowMax Water RO systems eliminate Chlorine, sediment and dissolved salts from water, providing pure and clean water. But if you are using water from an underground well, it’s very probable that this water also contains viruses and bacteria, and a good way to eliminate them is with the UV Lamp Kit. UV lamps kill up to 99,99% viruses and bacteria from water, which especially live in well water or tanks with rain water accumulation. These bacteria can do damage to your plants, as well as doing damage to the RO membrane, causing it to fail. If you are a possible contaminated water, you should install the UV Lamp Kit before the RO system. We offer two UV Lamp Kit models, with different flow capacity: 4 LPM (liters per minute) or 22 LPM, according to your needs. All GrowMax Water systems include a complete installation kit with a 3 meters of feed water tubing, 3 meters of product water tubing and 3 meters drain tubing. However, some installations may require more meters of tubing, as the tap water connection or the pure water tank is far from the installed unit, or simply because the drain is an extra few meters away. 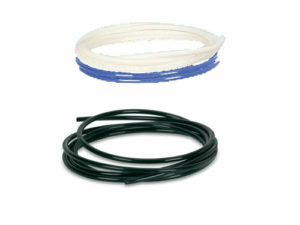 For these cases we offer separate Tubing Kits – containing 10m in each. What quality of water do your use for your summer garden?